2018 FESTIVAL SCHEDULE FOR "A Culinary Affair!" 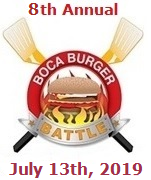 "SPECIAL PRICING TODAY FOR "BOCARATON.COM" READERS"
4+ TICKETS GET A BIG DISCOUNT! Call 561.338.7594 for more information. REFUND POLICY: Tickets are Non-Refundable. Rain or Shine. No full or partial refunds given to customers missing the event. The Retail Bazaar features products for sale. So, please be sure to bring extra cash for shopping! Participating Chefs, Beverages and Vendors may change without notice! The Festival urges all adults to Consume Alcoholic Products Responsibly!